Summertime is in full swing - and we're sure parents are looking for ways to keep the kiddos entertained! 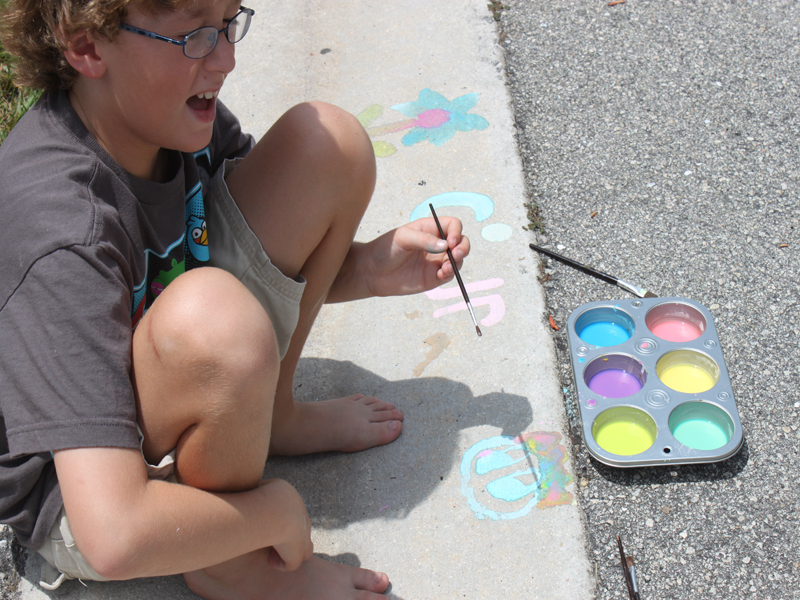 I love any activity that will fuse my son's love of art and the great outdoors - and sidewalk paint fits the bill. We enjoy it so much, we have been making it since my son was old enough to hold a paintbrush. 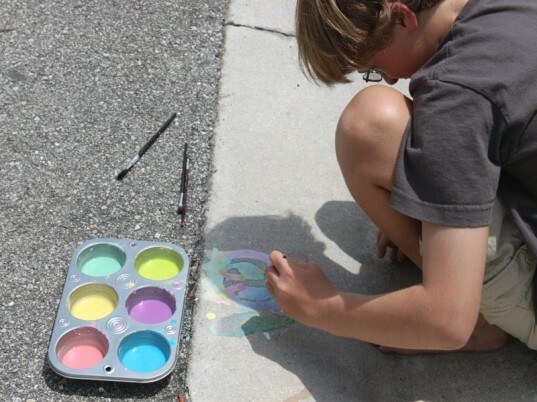 If you have a sidewalk, cornstarch and natural food coloring, you have everything you need to entertain your kiddos outside for an entire afternoon. All of the ingredients are organic, so you don't have to fret if your little one accidentally licks his fingers. And you'll love that cleanup is a breeze - just grab the hose! Keep reading for our easy how to instructions. 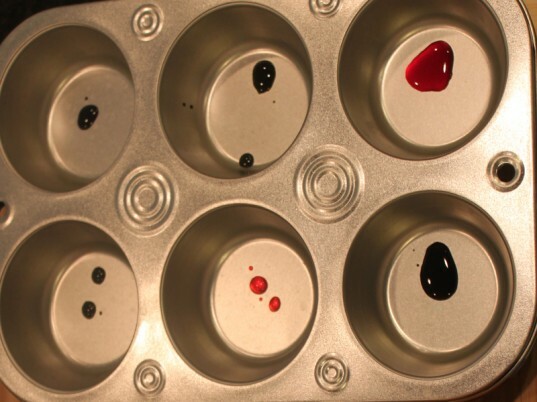 Have you child combine the water and cornstarch and stir until well mixed. 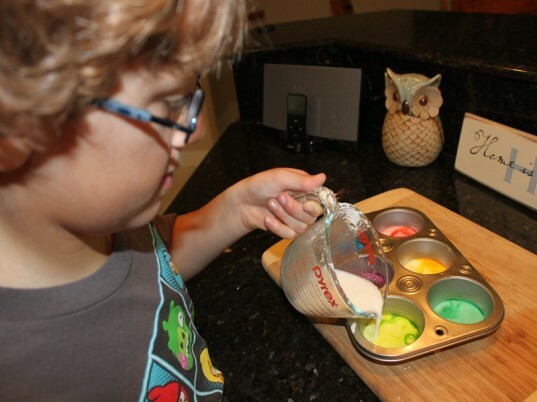 Believe it or not – this part is very fun for kids, the combination of water and cornstarch is amazing! 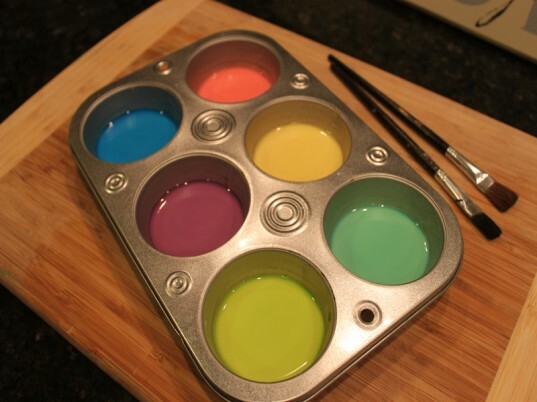 Have your child add a couple of drops of natural food coloring to each section in a muffin tin. 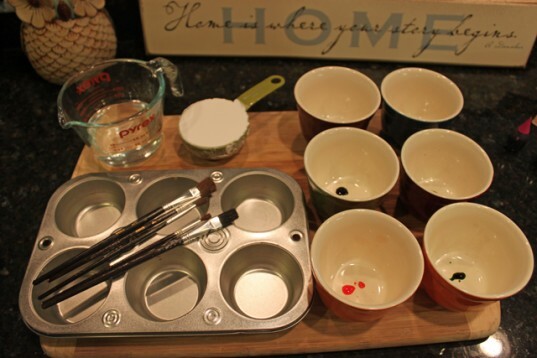 Have your child pour the water/cornstarch mixture into each muffin section. 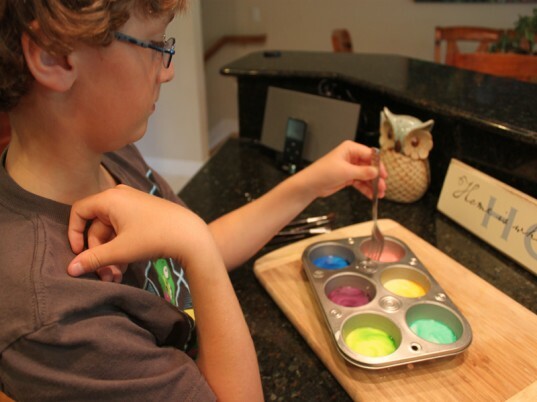 Have your child stir the mixture until the color is completely mixed. Give your child a selection of paintbrushes and send him outside. 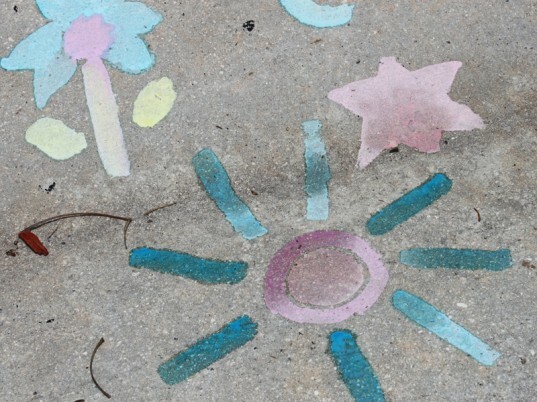 Enjoy watching your child create beautiful art on your sidewalk. Give your child the hose and ask him to quickly spray the chalk away – and it’s okay if he gets soaked in the process. 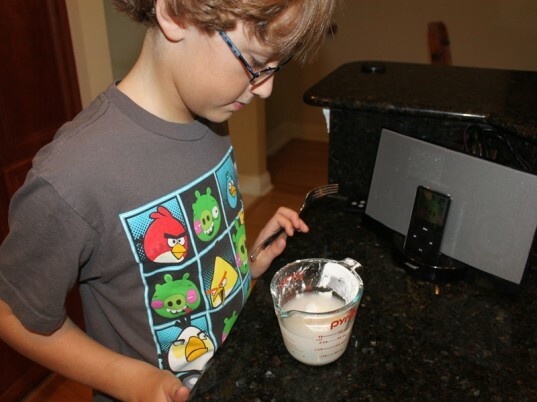 Have you child combine the water and cornstarch and stir until well mixed. Believe it or not - this part is very fun for kids, the combination of water and cornstarch is amazing! Step 7: Clean Up - It's a Breeze! Give your child the hose and ask him to quickly spray the chalk away - and it's okay if he gets soaked in the process.